Join us for a night of good food, time for fellowship, and interesting and educational programs for adults, youth and children. by noting it on the Friendship Register during Sunday worship, or registering online (see below). Dinner begins at 5:45 p.m. in Alderman Hall. All reservations must be made no later than noon on the Monday before that Wednesday. * Salad Bar will be available this year. On this trip middle school students will join other students from around the country to assist those in need with home repair and maintenance. Every evening we gather for worship and teaching as well. Your faith will grow as you help others. Register early to save money and because this trip fills up quickly! 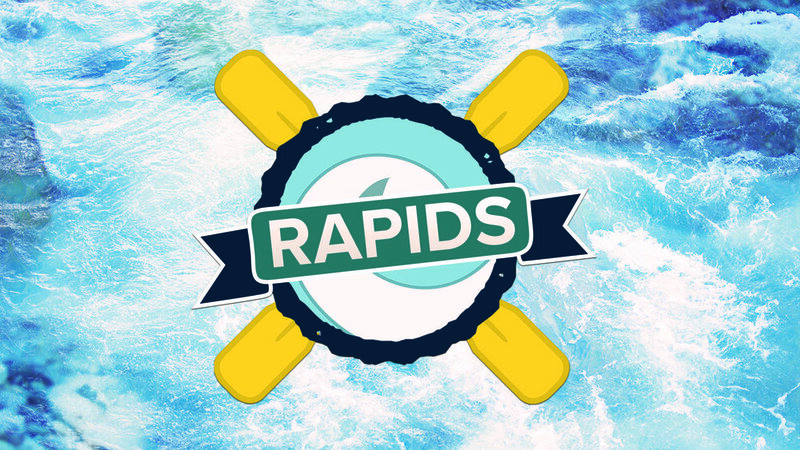 Middle school students will enjoy fun summer activities at ryeX RAPIDS summer camp. We'll have an awesome speaker, fellowship with friends, and uplifting worship time together at this amazing camp in the Smoky Mountains! Chicken Alfredo, Vegetable Medley, Italian Salad, Garlic Bread, and Dessert. Our speaker Shawn Duncan, is Director of the Lupton Center, TEDx Talk speaker, and Roswell Presbyterian Church Mission Consultant. Childcare PreK available with reservation; includes lunch. K-5th grade participation with reservation offers lunch, kid-friendly mission presentation, project and outside activity. Box Lunch for kids: Chicken fingers, chips and fruit. Collected from PW members around the world since 1922, the Birthday Offering is an annual tradition and has funded more than 200 mission projects that touch the lives of women and children. The Honorary Life Membership (HLM) program was established in the Presbyterian Church to honor faithful service to the women’s organization and to the church. More than a thousand women (and a few men) receive this honor each year. Funds derived from Honorary Life Memberships support the PW Leadership Development Grant Program. Middle and High School students can volunteer with K-5th program and “earn” $10/hr toward RPC youth camps/retreats with reservation (max of 3). Join us on Monday, May 6, for a bus trip to the First Church of Christ, Scientist in Atlanta. We will leave at 9:45 a.m. and return approximately 2:15 p.m. The trip includes lunch at Egg Harbor and total cost is $20 per person. Your payment confirms your reservation. Join us on Monday, May 6 Burger and Trivia at our Married People Date Night event at Moxie Burger! Join us on Monday, May 6 for Burgers and Trivia at our Married People Date Night event at Moxie Burger! On Wednesday, May 8 our speaker Executive Director of North Fulton’s Family Promise, Andrea Brantley, and Family Promise alumni will share stories of moving from an experience of homelessness to a life of flourishing sustainability. Come for dinner in Alderman Hall at 5:45 p.m. and stay for the program that begins at 6:30 p.m.
* Salad Bar will be available. We will be volunteering with five mission partners out in the community. Deadline for sign up is May 13, Monday. There is no cost to participate in VBS at RPC! It's FREE! 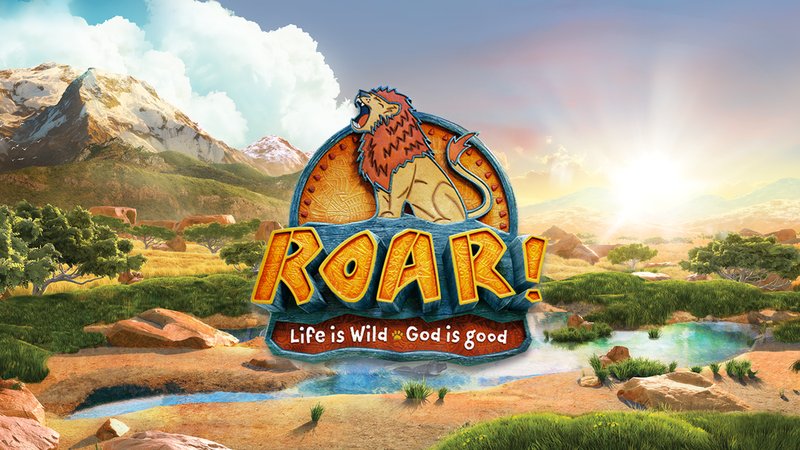 Kids will discover that God is good and that God is with us in our wild world. Children will learn Bible stories, participate in fun recreation games, music, and crafts. Childcare is available for children of VBS volunteers who are not old enough for VBS. Participants need a medical form and photo waiver on file. We'll focus on servant leadership and being the hands and feet of Christ in the local community. Over the four days, we will work with a different mission partner each day; learning about what they do in the community and participating in a service project for each organization. We will take field trips to some of the organizations as well. Each day will also include worship, fun games, and snacks. Service to our local community is one of the most important aspects of the Christian life. So often we forget that we are called to better the lives of our surrounding community. The WELL is designed for high school students to be able to give back to the Roswell area by working with the ministry partners of Roswell Presbyterian Church. We’ll spend our nights at RPC, have uplifting worship time and during the day we’ll join forces with many local mission partners to serve our community and the greater Atlanta area. The 96:ONE Youth Choir will be going on their annual Choir/Mission Tour June 13-16 to St. Simon’s Island, Ga. The theme is “We Are One”. The 96:ONE Youth Choir will be going on their annual Choir/Mission Tour June 13-16 to St. Simon’s Island, Ga. The theme is “We Are One”. If you are apart of the 96:ONE Youth Choir, you are invited to go on this trip. There will be two performances of the show. All are invited to these free performances! Sunday, July 14 at 9:45 a.m. in Alderman Hall - All elementary students will be in Alderman Hall for this performance during the regular Sunday School hour, 9:45 to 10:45 a.m.
During the 11:15 a.m. worship service on Sunday, July 14, the S.W.A.M. Campers will present a song from A Play in a Manger. For more information, contact Betsy Homer, Director of Worship and Arts, 770-649-4505. Every summer we get the pleasure of taking a group of high school and college students to Camp Rutledge. Cost: $350 first student, $275 additional student/same family. $100 deposit at the time of your registration. Registration ends Friday, June 21. Final payments are also due that day. No refunds are available after Friday, June 21. Every summer we get the pleasure of taking a group of high school and college students to Camp Rutledge. Though it is similar in style to many summer camp programs out there, Rutledge is unique in many ways. Rutledge is a camp where students can find a safe place to have fun, build new relationships, foster old relationships, and meet God! We are excited about this opportunity to spend time with your students, build relationships, and communicate the love that Jesus Christ has for all of us! There is a limit of 30 students! There will be a parent "share class" on Thursday, July 25 at 11:30 a.m. in the Sanctuary. Campers will need to bring a packed lunch each day and extra money for treats at the Camp Store. Middle Schoolers will gather in the Garage, attend the Good Friday noon service on Friday, April 19 in the Gym and then walk to get lunch at Spiced Right Ribhouse. Please join us for lunch as we celebrate Bruce and his many impacts on the life of RPC. Pre-K, Kindergartners, 1st graders welcome to participate in The Easter Children’s Choir. Join us on Saturday, April 13 for our Family Easter Egg Hunt & Pancake Breakfast from 9:30 to 11:00 a.m. The reason for two trips is because the CDC strictly limits the tour group size to 30 participants. Please register on or before March 18. Due to government security requirements, we will not be able to honor late registrations. Plan your Spring Break for 2019 - Join the Family Mission Trip, April 1 to 5 at St. Simons Island. Join us on Wednesday, March 27 as Rev. Jeff Meyers talks about The State of the Church. Thanks to all our volunteers for making this year FIRED UP for Christ! Students, family members, class teachers, youth leaders, and mentors are all invited. Join us on Friday, March 15 for our Middle School MOE at Sky Zone! For it’s 1,2,3 strikes you’re out if you miss February 25 deadline! Opportunities are available to volunteer for the upcoming Habitat for Humanity Ecumenical Build. Join us for lunch as Mark Macdonald, Travel Advisor and Cruise Plannerinforms us of what to watch out for while traveling this year. Team will serve alongside Pastor Severo Ek and the local church community to help with bible lessons and simple projects in local churches and community centers. 9th grade to adult. Join us on Friday, January 25 for our Middle School MOE at Stars & Strikes! All women of RPC are invited to register for the Women's Retreat 2019, Take My Life and Let It Be, Friday, January 27 to Sunday, January 29. The Reverend Dr. Bill Nisbet is retiring after December 2018. Join us for lunch as we celebrate Bill and his many pastoral achievements.